Appeal against arrest of cocaine case defendant in absentia set for March 28 | Russian Legal Information Agency (RAPSI). 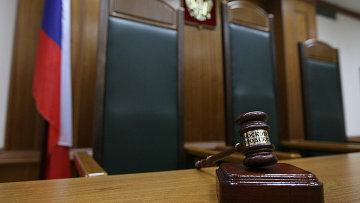 MOSCOW, March 7 (RAPSI) – The Moscow City Court will hear an appeal against the issuance of arrest warrant for Andrey Kovalchuk, one of the defendants in a criminal case over attempted cocaine smuggling from Argentina to Russia, on March 28, the spokesperson of the Tverskoy District Court Svetlana Medvedeva told RAPSI on Wednesday. On March 2, Kovalchuk was arrested in Germany. Later, he was put in detention, according to his lawyer Vladimir Zherebenkov. Kovalchuk and three other defendants, Vladimir Kalmykov, Ishtimir Khudzhamov and Ali Abayanov, are charged with attempted drug smuggling on especially large scale. In late February, Moscow’s Tverskoy District Court detained Kalmykov and Khudzhamov until April 13, while Abayanov was ordered to stay in detention until April 12. Kovalchuk was put on the international wanted list. Appeals against their detention will be considered by the Moscow City Court on March 12. According to the Russian Foreign Ministry, law enforcement authorities of Russia and Argentina have collaboratively suppressed delivery of a large consignment of drugs (cocaine) from Argentina to Europe. The drugs ready for delivery were found in one of the Russian embassy buildings in Buenos Aires in 2016. Cocaine allegedly belonged to an embassy technical staff member, whose duty journey was over by that time. During the conducted operation, Russian and Argentinean citizens were arrested, the ministry’s statement reads. 12:59 07/03/2018 The Moscow City Court will hear an appeal against the issuance of arrest warrant for Andrey Kovalchuk, one of the defendants in a criminal case over attempted cocaine smuggling from Argentina to Russia, on March 28.